The RT45 is a traditionally styled poly-cotton work trouser to GO/RT spec. 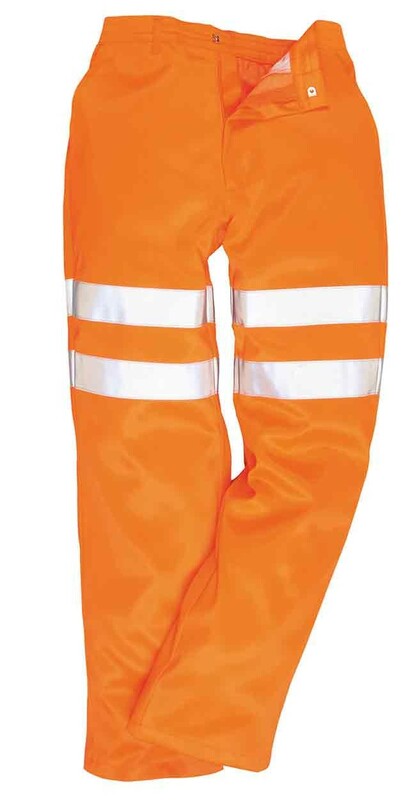 Two-band HiVisTex (washable at 60 deg c) tape above the knee ensures EN471 class 2:2 certification as well as the rail specification GO/RT 3279. Fabric: 80% Polyester, 20% Cotton, 280g.